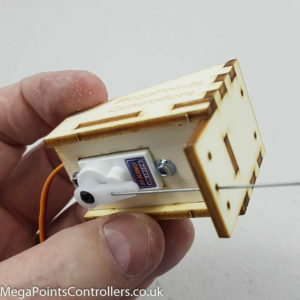 Control up to 4 servos around your layout. 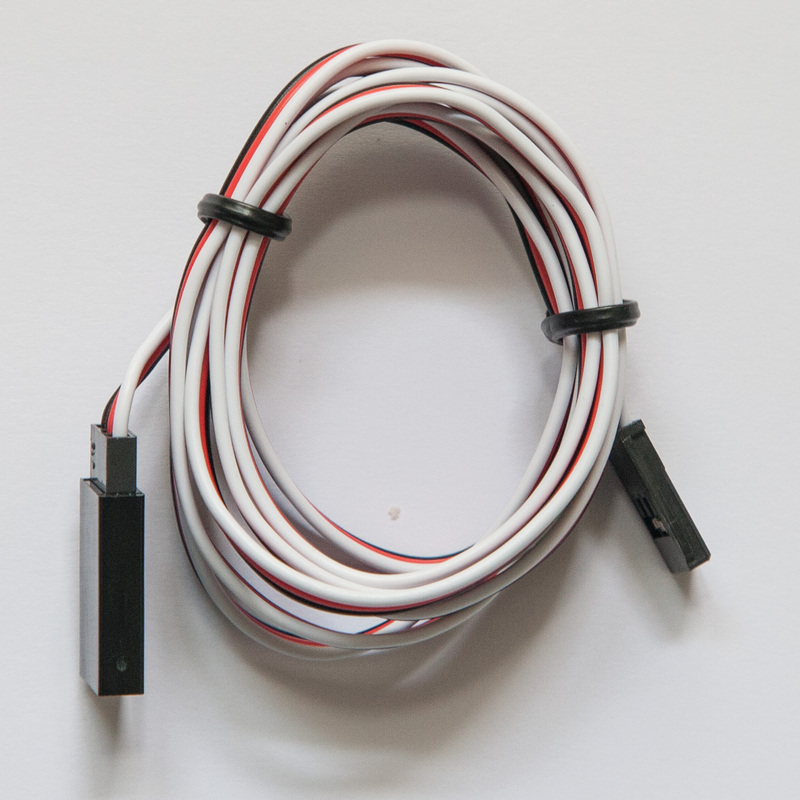 Individually configurable for turnouts, semaphore signals, gates, barriers, doors etc. 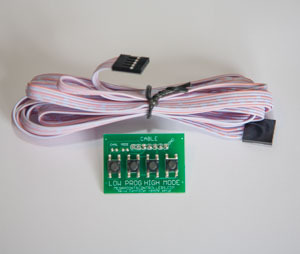 Includes relay for integrated frog switching. This version does not include relays. 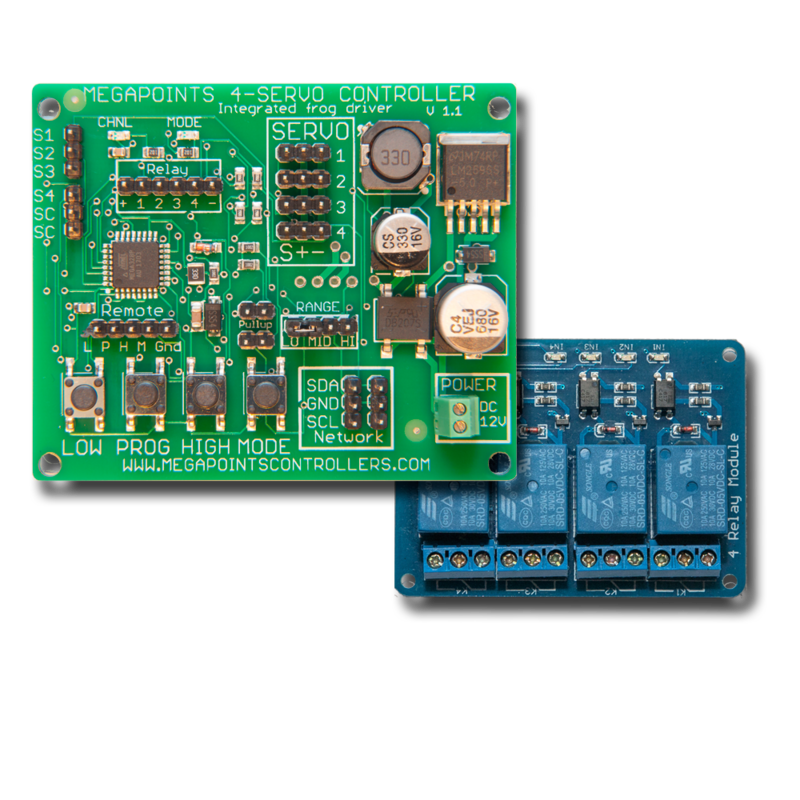 Servo controller with integrated frog switch to control up to 4 servos. 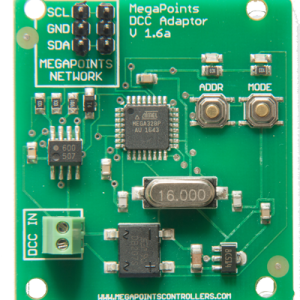 This version is for the servo controller board only. Does not include relays or relay cable. The Servo Controller controls up to 4 servos on your model railway layout. 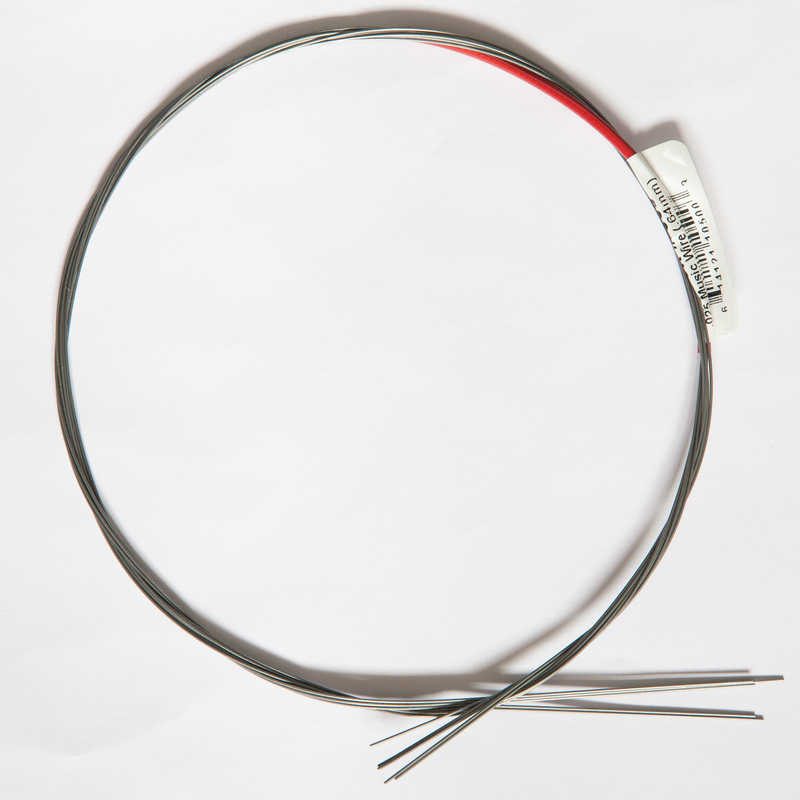 Its flexible design means that it can be operated by connecting toggle switches directly to the supplied cables or it can be controlled via the built in network interface. 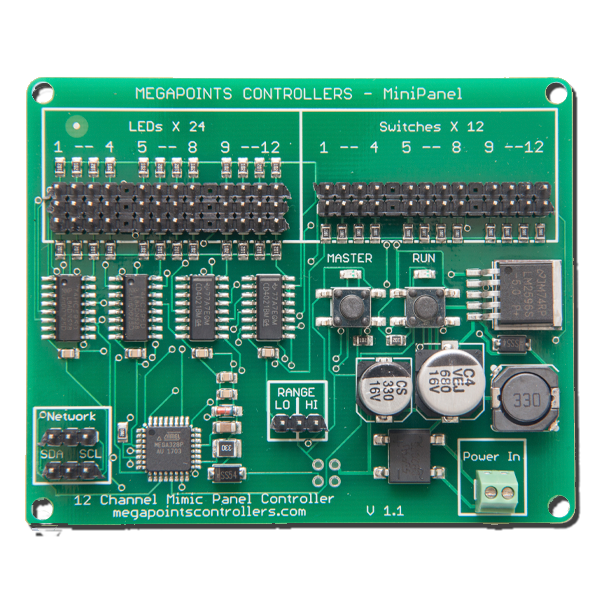 This makes remote control via DCC module, MultiPanel, MiniPanel or even another Servo Controller 4R all possible. 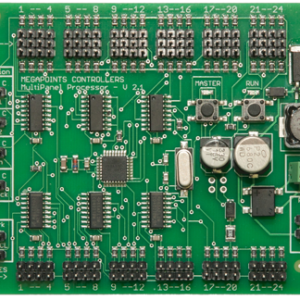 The Servo Controller has many different user selectable output models including normal and reversed turnout operation, upper or lower quadrant semaphore signal and includes an integrated relay module for frog or track switching. Each of the four outputs may be set independently. All configuration is via the built in buttons and LEDs and requires only one finger to configure. No external devices are required to configure or operate this unit.